If you are looking to move to Tokyo then Musashi Sakai and surrounding area is in our experience, a perfect place for the best family lifestyle. The Musashino-shi area is well regarded for its high quality education. Our area is very green with plenty of trees and market gardens. We are situated right in the middle of four large parks. All within easy riding distance by bicycle. Horse stables are five minuets walk from the kindergarten. Great shopping can also be found at nearby Kichijoji which has plenty of European style coffee shops and exotic shops. An open air Thai restaurant is situated amongst the trees over looking the lake at Inokashira park. This area is connected directly to the main business area of Shinjuku by the Chuo line, a 30 minute train journey. Musashino International Association (MIA), an organization with which we are affiliated, provides total support for foreigners living locally and throughout Tokyo. 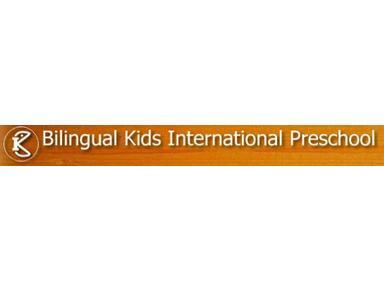 Bilingual Kids International (BKI) is owned and operated by Rob and Kumi Tajima Mathews. Both qualified together as Australian Kindergarten teachers, and have worked with the child care team at Curtin University in Western Australia. "After much research we selected the Reggio Emilia Approach as the most comprehensive approach to teaching bilingual children in Japan". To provide affordable, high quality professional care, along with developmentally appropriate projects*, through which each child can reach their full potential. To create an environment of provocation and learning where the development of children, parents and staff is forever ongoing and where relationships are valued as central to this process. To educate the whole child-spirit-heart and mind in ways that allow children to explore all forms of self expression through art and language. To research and document daily life at the center so that each child's learning may be made more visible. Thus allowing parents to understand more fully how and what their child is learning and how they can help guide this process. To maintain BKI as a place that children want to attend, a place where parents are confident that their child's bilingual abilities are being exercised to their full potential.